Welcome to MerryDollCollections, resource for OOAK doll fashions and furniture. This blog makes you familiar with our exclusive collections of handmade fashions, furniture and accessories for Tonner dolls, Iplehouse BJDs and some other dolls. Here you can browse lots of doll pictures, learn from tutorials how to sew, use sewing patterns for your own dolls and peer into some stages of our working process. Terms and conditions section - general info on orders, payments, shipping etc. Where to buy section - links to our E-bay auctions and Etsy shop listings etc. Use labels at labels gadget on the left column of this blog or see labels under my entries at Fashions section. 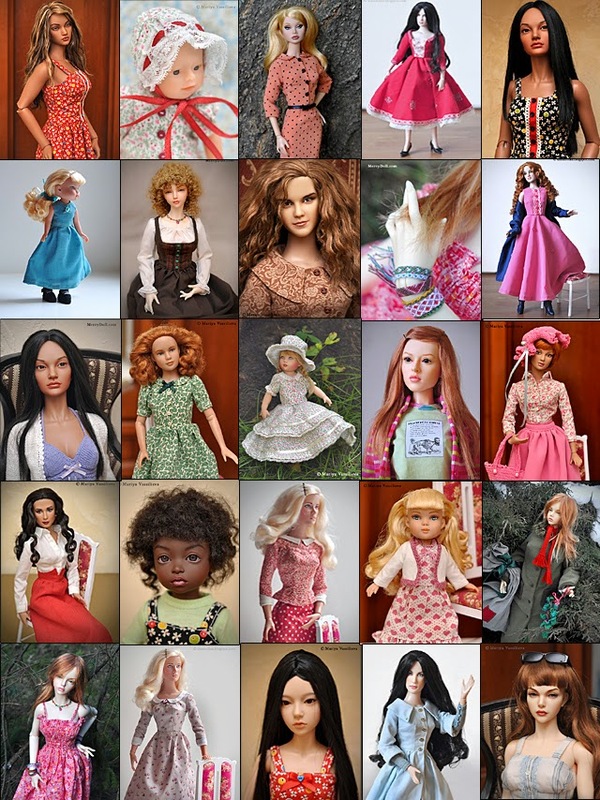 Press wanted label (for example Tonner) and see all my posts containing fashions for Tonner dolls.